Mastery makes your career move faster. Our M.S. in Finance program will help you earn the credentials you need for that next big promotion. Learn from Big Ten faculty in relevant online classes and plan for advancement with personalized career coaching. Learn from Big Ten Faculty who will provide you with relevant, hands-on experience. The job outlook for finance is strong with projected growth of 11% over the next decade, so now is the perfect time to become proficient in finance and have the credentials to prove it. The M.S. in Finance program application deadlines is July 1 for the following Fall semester. Applicants who hold a Ph.D., JD, MD or Pharm D, or are currently enrolled in medical school do not have to submit a GMAT or GRE score. 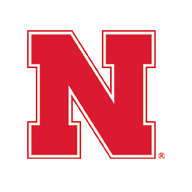 Applicants who have been admitted to the Nebraska College of Law do not have to submit a GMAT or GRE score. If you have 7 or more years of significant managerial, operational or decision-making experience and an acceptable undergraduate GPA, you are not required to submit a GMAT score. You must, however, submit as a reference your current supervisor who can verify your work experience. Please include this person as one of your references in section 3 below. In the first part of your Personal Statement, you should include your request for the GMAT waiver based on your work experience. All GMAT waivers will be evaluated on a case-by-case basis. To be considered for a GMAT waiver, candidates must start an application. What would you contribute to our program? How would a University of Nebraska–Lincoln M.S. in Finance assist you in achieving your goals? Prerequisites for the M.S. in Finance include college-level statistics and college-level calculus. We also recommend students have taken introductory courses in finance, accounting and economics prior to applying to the program. Sign up and we’ll send you everything you need to know about the M.S. in Finance. Your current job and commitments are priorities—yet balance is possible. Nebraska offers all classes online, optimized for mobile and in 8-week sections. Nebraska’s classes are offered online in 8-week sections and are optimized for mobile platforms. Finance courses are developed and taught by highly respected faculty in one of the strongest academic conferences in the nation. Nebraska’s M.S. in Finance is one of the best values for the money because of our combination of fair program cost and strong career preparation. The flat $630 per credit hour rate applies to all students, regardless of where you live. The M.S. in Finance curriculum is designed to provide you with the fundamental skills that employers need to make the smartest financial and investment decisions, and it’s the same curriculum that will assist in preparing you for certification exams or your next career move. Corporate finance presents risk, return and time-value of money along with other concepts that can be applied to valuation of securities and capital budgeting. This course is designed to develop skills in financial analysis and planning by evaluating theory and application through case studies. Private- and public-sector managers face economic problems that demand an applicable understanding of economic theory. Prioritizing practicality, this course covers economic problem solving, consumer demand, demand elasticity, complex pricing decisions, strategic game theory, international economics and more for a comprehensive understanding. Market imperfections are easy targets for multinational corporations, which is why this course focuses on how to identify and exploit them through applied principles and tools of economics, accounting and finance specific to multinational corporations. The theory of investment focuses on investment decisions, portfolio strategies and the structure of capital markets. This course explores how modern portfolio theory affects investment decisions and performance evaluation. The worldwide derivatives market consists of financial contracts. This course deals with the world of financial instruments—known as derivatives—and their role as contracts in managing risk that arises from interest rates, exchange rates, stock prices and commodity prices. Through constructing and interpreting financial statements, this course gives you a thorough understanding of accounting from a user’s perspective, both internal and external, as well as the basics of financial accounting and reporting. Statistics is the art and science of collecting, analyzing, presenting and interpreting data with the objective of improving decision-making. As such, it plays an important role in financial decision processes, which is why this course involves practice in using statistical methods that have wide applicability in business and financial decision making. This course is designed to provide students with a basic understanding of fixed-income markets, fixed-income securities and tools employed by market participants to the analysis of fixed-income investments. Learn how to apply strategic financial decision-making to real-world financial and business problems through case studies and projects. This course reviews the investment management process including risk, return and investment constraints then culminates with the creation of an investment policy statement. A code of ethics and the standards of professional conduct for finance professionals are also explored. Our esteemed finance faculty, comprehensive coursework, and intuitive learning platform will enable you to strengthen your investment and finance management skills. All classes for the M.S. in Finance are designed by faculty who are advancing finance research and leading the conversation on what's next in the discipline. The online program for M.S. in Finance uses the Canvas learning management system, which is designed for easy and efficient use. Live group discussions that are also recorded for later access will keep you on track and allow you to collaborate with faculty and fellow scholars in your class. The faculty who teach Nebraska’s M.S. in Finance program bring real-world expertise and their research findings into the classroom. Our students benefit from working with professors who connect the classroom to the real world. Finance students and alumni have the ability to work with professional Career Coaches, either in person or online. Career Coaches will help you assess your current career stage as well as think strategically about new opportunities. They are available to assist you in reviewing new positions and help you market yourself more effectively. Access to VMock—an online resume review tool used by the best business schools in the world—will give you instant, personalized feedback on your resume by using criteria gathered from employers and global best practices. An aggregate resume score, line-by-line suggestions, and guidance on how to best market your competencies will help you improve your career strategy. As a part of the Nebraska Business community, you’ll have the opportunity to network with students, alumni, employers and friends of the college by making connections that lead to career advice, recognition and further developing professional relationships.